We come to your Venue or Event anywhere in and around Gauteng! This is great fun for all! We bring our Mobile Pizza Oven with stocks and staff, setup our trestle tables, lay out the toppings and prepare the pizza dough while Chef fires up the gas Pizza oven! Here is where you take over! You get handed your Chefs hat and an apron, spread the baking flour then get rolling with guidance from the staff. Once have sprinkled on your choice of toppings, you hand it over to Chef who bakes your Pizza while you watch. Your Pizza is delivered hot and fresh directly from oven-to-you in a pizza box! Try the Pizza Pie (calzone) option too! 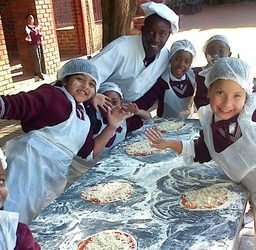 Visit us at httpwww.creative-entertainment.co.za to see our other mobile offerings, and read some customer comments on our Pizza Making Workshop below!